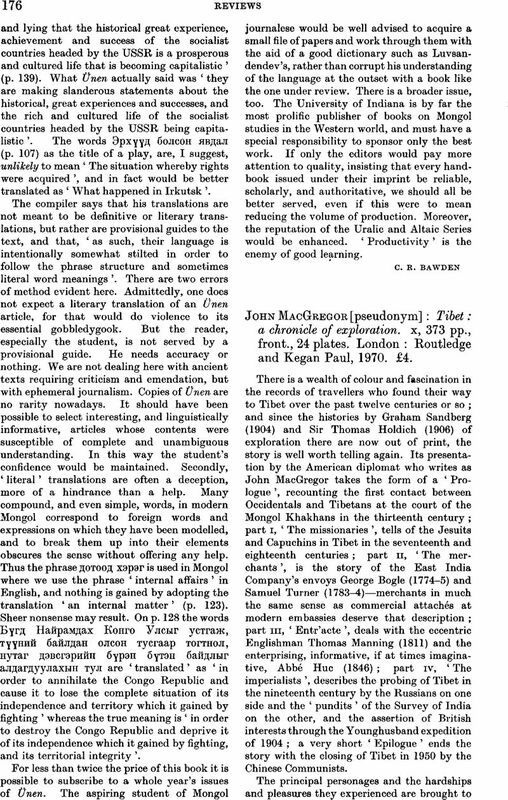 John MacGregor [pseudonym]: Tibet: a chronicle of exploration. x, 373 pp., front., 24 plates. London: Routledge and Kegan Paul, 1970. £4.